One of the primary breeding grounds in the world for Mountain Plover, plus a great spot to see McCown’s Longspur, Lark Bunting, and Golden Eagle. Pawnee is one of 20 grasslands throughout the western Great Plains that were established after the Dust Bowl in the 1930s. The goal was to initiate a grassland recovery effort after intense farming led to soil erosion that devastated the land and farming families. Since then, biodiversity here has expanded and now has many birds, mammals, reptiles, insects, amphibians, and fish. During the breeding season, Pawnee is home to the regionally endemic Mountain Plover and McCown’s Longspur. Colorado’s state bird, the Lark Bunting, arrives in May in dense flocks — quite the spectacle. You may even catch a glimpse of a Golden Eagle snatching a jackrabbit for breakfast. Don’t miss the Pawnee Buttes, the most notable geologic feature of the grasslands. Stop at the trailhead and hike among the badland-like formations; you’ll probably see Say’s Phoebe, Cliff Swallow, or Rock Wren. 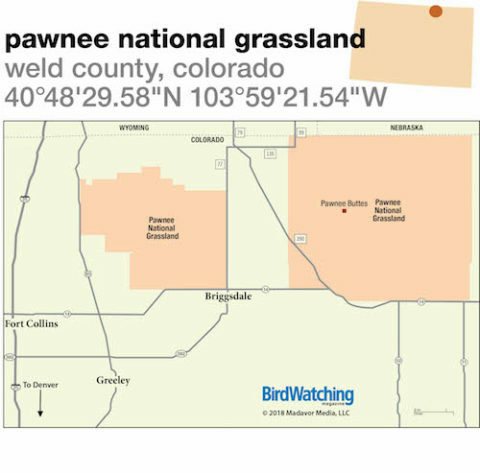 Pawnee National Grassland, managed by the U.S. Forest Service, encompasses 193,060 acres in northeastern Colorado. From Denver, take I-25 north to Fort Collins and exit onto eastbound Hwy. 14. Go about 27 miles at which point access roads into the grassland will be on your left. To reach the trails at Pawnee Buttes, turn left onto CR 390. Grassland with some playas (ephemeral wetlands); minimal shrubs. Mainly flat and level, perfect for walking or driving. Roads can be muddy after a rain. Trails are located at the Pawnee Buttes located on the east side of the grassland. More than 300 species. Summer: Mountain Plover and Burrowing Owl among the prairie-dog towns, Lark Bunting, McCown’s and Chestnut-collared Longspurs, Western Meadowlark, Lark Sparrow, Long-billed Curlew, Loggerhead Shrike, Horned Lark, Swainson’s, Red-tailed and Ferruginous Hawks, Prairie Falcon, Northern Harrier, Golden Eagle, American Kestrel, Wilson’s Phalarope, American Avocet, and Long-billed Dowitcher. Winter: Raptors abundant, including Golden Eagle, Rough-legged and Red-tailed Hawks, American Kestrel. March and April for Mountain Plover. 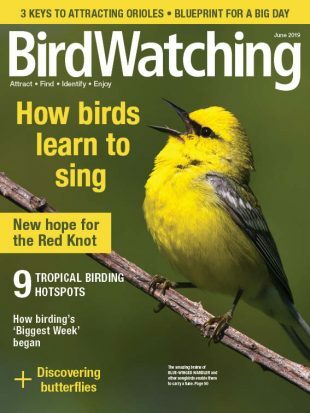 May and June for migrants, especially mornings or evenings. Winter for raptors. 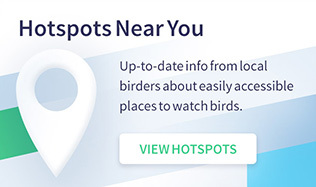 Educational kiosks, viewing platforms, and restrooms located at Pawnee Buttes trailhead only. Bring plenty of food and water. More information available at Forest Service office at 115 North 2nd Ave. Ault, CO, (970) 834-9270. Crow Valley Campground is nearby. National grassland. No fees; open daily. Stay on Forest Service property and only drive on roads that have a USFS marker. Keep off private ranches. Open to the public for hunting and recreational target shooting, so be alert. Check with the office for more information: (970) 834-9270. About two hours west of Pawnee and about 45 minutes northwest of Wellington. A similar ecosystem to the grassland and has free-roaming bison. About 4 hours north of Pawnee in eastern Wyoming. Another great site with an abundance of sagebrush and Greater Sage-Grouse and Mountain Plover. Angela Dwyer is the grassland habitat coordinator for Bird Conservancy of the Rockies. She studies Mountain Plover and other grassland birds.